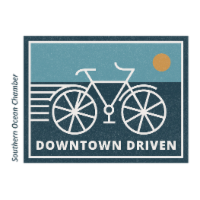 Building on success by working with municipalities that wish to enhance opportunities for local business and best practices, regional chamber expands Downtown Driven program to include key township for business growth. SHIP BOTTOM, N.J. - Nov. 5, 2018 - PRLog -- Southern Ocean County Chamber of Commerce, a globally accredited Destination Management Organization, introduced their Downtown Driven Economic Development Program in 2017. Its purpose is to work with local governments and merchant led groups to help establish direction of the discussion regarding immediate and long term needs that foster a strong business community. The goal is to build a network to distribute resources to community based organizations focusing on improving shopping districts, aesthetics and ordinances that will drive new business/employers to the various commercial districts in the township. Recognizing the increased desirability of living in working within the beauty the pines and bay, the partnership will provide a strategic spring board for projects that will help residents, visitors and investors make the most of the unique location. After meeting with the committee members of the Little Egg Harbor Commercial Revitalization Board, Mayor Ray Gormley recommended to begin the partnership to enhance the access Little Egg Harbor has to the professional chamber. By utilizing established programs, and working on strategy that businesses can take an active part in, including scheduled Chamber in Residence sessions that will be scheduled in Little Egg Harbor. The Southern Ocean County Chamber has many active members located in Little Egg Harbor and has been met several times within the township this year. The chamber held Women in Business Round table, Pop Up Membership meeting at Little Egg locations and arranged a press tour featuring Pinelands Brewery and Forty North Oyster Farm. Other programs that Little Egg Harbor businesses have taken part in 2018 were Founded in Family, Southern Ocean Made and Chowderfest Cookoff. At the October 25 2018 Township meeting, Resolution # 2018-226 was passed for official partnership between Little Egg Harbor Township Representatives and Southern Ocean County Chamber of Commerce.